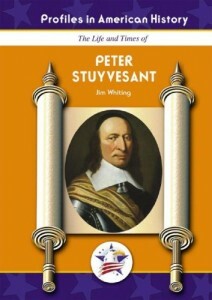 The most famous governor of the early colony of New Amsterdam was Peter Stuyvesant, who arrived in 1647 when it was still struggling. He remained in office until 1664, when the city was captured by an English army and renamed New York. Stuyvesant, who was nicknamed “Pegleg Pete” because he lost a leg in battle, was very important in helping the young colony survive its growing pains and laying the foundation for its future greatness.